Successfully Added Qi Enabled Wireless Charger - Single Coil, Support 5W, 7.5W, 10W Function, Supports iPhone Samsung Galaxy and more to your Shopping Cart. QI-enabled wireless charging pad for iPhone X/ 8/8Plus, Samsung Galaxy S8, S8+, and more. No cables, no hassles - just quick and easy charging. Slim and elegant design means this wireless charger impresses on your office desk or at home. LED indicator lights notify when your device is charging. There is a swith in the bottom, you can turn on/off led indicator when wireless charging. This QI enables charger has a single coil and uses electromagnetic induction to charge a full range of wireless charging enabled devices. Compatible with a full range of phones including iPhone 8, 8Plus, X, Samsung Galaxy S8, S8+, S7, S7 Edge, Note 8, Note 7, Note 5 and S6 Edge+. The fast and efficient charging produces a conversion rate of up to 78%. With the output of 7.5 Watt or 10W for Samsung devices, it can charge your phones in just a few hours. Testing with the iPhone 8 showed a full charge was achieved in just 166minutes and iPhone X was only 172 minutes. 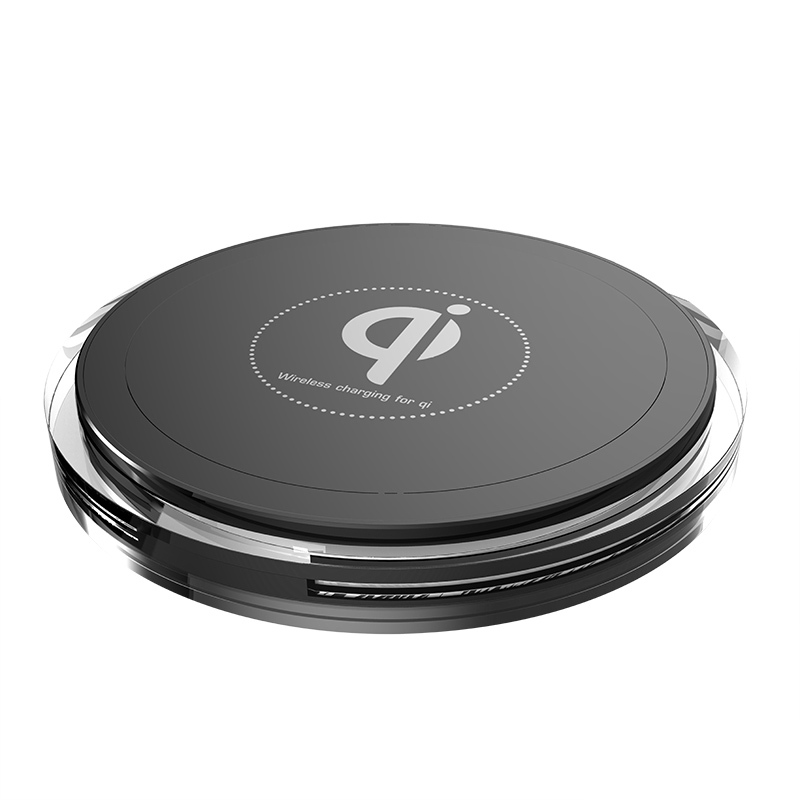 This Qi wireless charger comes with 12 months warranty, brought to you by the leader in electronic devices as well as wholesale phone chargers and cool mobile accessories..